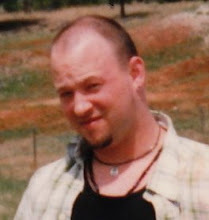 "He was introduced as a libertarian by a UCD [University of Colorado, Denver] professor of Indian studies (who said at first he thought Russell was crazy for it, but later understood what libertarianism means to him and now understands the logic and why the Indian movement and the libertarian movement are compatible in the eyes of Russell Means). Russell started off with a bang discussing individual liberty and the U.S. Constitution, which he claimed was written to be similar to the constitution of the Iroquois Confederacy. He spoke very favorably about the Constitution, but reiterated what Thomas Jefferson had said about needing to reevaluate all laws and programs every 20 years, and thought we were overdue." Like many people of his time, Jefferson was both a demon and a saint, point is, he knew what he was talking about concerning many issues, among them, the creation of a central bank. Hence, me quoting him, and "one of America's best-known and prolific activists for the rights of American Indians" quoting him. Related quotes, including another from Jefferson, can be found on his website. As I predicted my last appeal to debunker Joseph Welch has fallen on deaf ears. In his latest response Mr Welch attempts to use the "Four D's of Debunking- dodge, distract, distort, and deny" against me while failing to acknowledge his own employment of these tactics. No big surprise. I was originally going to ignore Mr Welch's rebuttal, understanding the futility of debating someone who has already cemented their view about 9/11 and closed their mind to any new information that conflicts with that view. But Mr Welch's continued refutation of available evidence included such unfair attacks upon my credibility and character that I could not let it stand unchallenged. I will again respectfully try to explain my major disagreements with Mr Welch by comparing the source material used to back our claims. Granted this requires a fair amount of reading but I can see no better way for those following this debate to contrast our views and decide for themselves which version of reality best fits the evidence presented. In the "Dodge" section Mr Welch gives a list of points that I had "implicitly conceded defeat....but not had the moral courage to admit as such." The problem is distinguishing the points I really do concede with the points I disagree. A main example here is my admission that al-Qaeda certainly may have committed the attack, but I disagree with Mr Welch's assumption that al-Qaeda could have no clandestine collaboration from within our own intelligence agencies. Peter Bergen (“The Osama bin Laden I knew”, pp.60-61). Lawrence Wright - “The Looming Tower” (pp.100-108). Milt Bearden “The Main Enemy”, (Random House 2003),p.243). Part 7 -"Given the geo-political realities of Central Asia in mid-2001, there were no guarantees of any host nation support for any attack on Afghanistan." I noted that these subjects do not suggest any conclusions about 9/11 but could at least explain why some people may question the ethical actions of government officials based on the historical record of past deceptions. Mr Welch missed this point and instead interpreted this section as an attempt to "Distract" by setting up a "straw man" argument over whether he, or any contributor to Counterknowledge said the US government has never been involved in "dirty tricks". He then explains his belief "that any acts of malfeasance by a democratic government...usually become public knowledge shortly after they are committed, and that efforts at a cover-up... do not survive scrutiny by democratic legislatures and a free press." 1. The CIA backed Operation Gladio waged a decades long campaign of terrorism and assassinations through Europe killing hundreds of innocent people, then blamed "leftist subversives" to demonize political opponents and frighten citizens into supporting government powers. Although first exposed in 1990 the existence of this program has been all but ignored by the American press. 2. The 1967 to 1972 CIA Operation Phoenix program of terrorism and assassination in Vietnam that murdered over 26, 000 people and instigated the Vietnam War. To this day most Americans have no idea this program existed either. 3. The CIA trained and supported death squads in El Salvador committing atrocities like the 1982 El Mazote massacre murdering over 700 men women and children. Again, most Americans were never informed about this. I'm sure Mr Welch will make a distinction over the US governments approval to murder foreign citizens but not our own citizens. I'm sure I don't have to remind him of the 1962 Operation Northwoods plan drawn up by the Joint Chiefs of Staff to stage a terrorist attack on US citzens, including hijackings and bombings, then planting phony evidence to frame Fidel Castro in order to justify an invasion of Cuba. Yes, the plan was never used because it was rejected by President Kennedy, but what if there was a president who would accept such a plan? And nobody knew about this plan until it was declassified in 1997. I claim the 9/11 Commission admits the 9:37 entry time for Cheney was based on the Secret Service report alarm data and is undocumented, while Mineta's early arrival testimony is consistent with reports from Richard Clark, Condi Rice, Karl Rove, White House photographer David Bohrer, and ABC, BBC, and WSJ. This is discussed in great detail in chapter 2 of David Ray Griffin's book "9/11 Contradictions." Yet the 9/11 commission and the media continue misquoting Mineta saying it was in reference to Flight 93. We can logically assume one of two things considering this contradiction. First, that if Mineta was referring to Flight 93 then his story about the "order still stands" conversation was a complete fabrication because Flight 93 was not "ten miles out" from any Washington target. This would make Mineta guilty of perjury for which he has not been charged. This was never what I disputed. I claim the subtle change in the directive is under 4. Policy, stating " The NMCC will, with the exception of immediate responses as authorized by reference d, forward requests for DOD assistance to the Secretary of Defense for approval." which was changed from "The NMCC will monitor the situation and forward all requests or proposals for DOD military assistance for aircraft piracy (hijacking) to the Secretary of Defense for approval." 6.Mr Welch claims the combined testimonies of FBI counterterror chief John O'Neill, field officer Robert Wright, Coleen Rowley and Harry Samit of the Minnesota FBI, translator Sibel Edmonds, and Anthony Shaffer of Able Danger all lack credibility and are "long on assertion and short on substance." I claim that Mr Welch also forgot to offhandedly disregard the testimonies of FBI informant Randy Glass and prosecutor David Shippers as well as acknowledge the obstructions and subsequent promotions of David Frasca, Mike Maltbie, and Marion Bowman. 2. While mocking my distrust of government sources Mr Welch falls into a paradox of his own by rejecting the White House's description of the NSPD-9 as a plan for military options "against Taliban targets in Afghanistan". Another "theory" often cited by debunkers to explain this evidence was that after the towers collapsed the fires were trapped underneath the rubble pile where the heat could not disperse "cooking" the steel to it's 2800 F melting point. 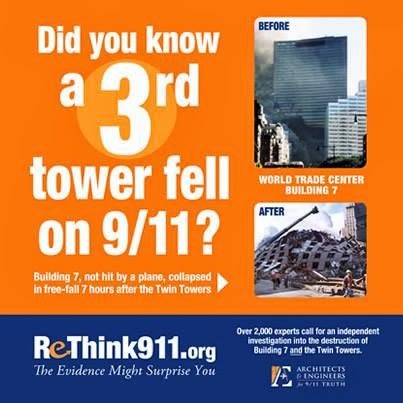 The first flaw with this theory is how did the fires burning on the upper floors of the tower end up under the rubble pile, assuming they would have survived the collapse at all? Secondly, anyone with a high school education knows that hydrocarbon fires need oxygen to burn. But this theory proposes that the fires burned hotter than normal while being cut off from an oxygen supply. This theory is highly unlikely. The very fact that the fires did burn under the rubble pile for weeks after the collapse implies that they were not simple hydrocarbon fires but were the result of a continuing chemical reaction. The WPI study speaks to the high levels of sulfur that lower the melting point of steel. Debunkers claim this sulfur resulted from the pulverized and burnt gypsum wallboard. This theory would only make sense if all of the buildings sulfur somehow separated itself from the gypsum, concrete, glass, and other building debris then spontaneously amassed in the basement to create the unusually high concentration needed to melt steel girders. Again, highly unlikely. 1. Mr Welch which asks for confirmation from accredited experts on "nano-thermite." Of course I can forgive Mr Welch for not knowing about nano-technology since it is a relatively new field of science, but I must wonder if Mr Welch will even bother to examine this evidence or be able to admit it's validity. 2 & 3. Mr Welch asks how the WTC Towers could have been rigged without any employees noticing and if it is even possible. I will state again, before debunkers start howling about a lack of evidence, these are purely hypothetical scenarios based on incomplete research. We can not verify any of these details without further investigation, which is exactly what we are asking for. 4. Mr Welch asks if it is credible that such an elaborate "false flag" attack could be arranged between Bush's inauguration and September 11th. In the summary Mr Welch launches another attack on my credibility saying I can only go so far with "rehashes of discredited claims, bad science and a lousy grasp of the historical record" and "systematically ignoring the vast mass of evidence which proves al-Qaeda’s complicity." All I can ask is that people take a look at sources I have based my beliefs on and decide for themselves if it is merely "blinkered fanaticism." Consider that most Truthers started out like Mr Welch, believing whole heartedly in the official story, until they found something, some fact or evidence that did not concur with the official account. Then they had to choose, whether to risk being publicly mocked and maligned for daring to question such a sensitive topic, or to just ignore the facts and go on believing in the fearful illusions and hateful stereotypes of 9/11 that have resulted in corruption, wars, and the loss of liberties. It's not an easy choice. But I hope Mr Welch and others of his mindset, as loyal as they are to the voice of authority, eventually find that one piece of evidence that they cannot honestly explain away. And when they do, that they will have the clarity of conscience to join the movement for truth. We will welcome you. This blog entry is also posted at current.com. Here is myself and other members of WeAreChange Indy, and some people we met, during our 11th of the month street action in downtown Indianapolis. Wikipedia renames 9/11 controlled demolition page to a "conspiracy theory"
It used to be called a hypothesis now its been downgraded to a conspiracy theory. Right around the release of the thermitic material paper aswell; which there was a debate about whether or not to mention. By simply looking at the definitions it is clear that the proponents of the demolition theory are not proposing a "conspiracy theory", they are proposing a hypothesis. Steven Jones, Richard Gage and other technical 9/11 researchers have never directly pointed the finger at anyone. They simply criticise the official theories for the destruction the towers and look for alternative explanations. They are therefore not conspiracy theorists. Furthermore, everything about the official story of 9/11 fits the definition of a conspiracy theory. Ever since the article was created in September of 2006, the theory has been referred to as a hypothesis. Now the new paper comes out PROVING there was a large quantity of explosive super-thermite in the towers and within a day, several biased editors, who are likely paid operatives, flood the talk page suggesting the page be renamed to a "conspiracy theory". The page was renamed hours later, despite opposition from fairer editors. They also attack the paper on the talk page, doubting the reliability of the journal and the peer review process. Just because a journal isn't mainstream, doesn't mean it's not credible. Compared to the corrupted, agenda driven "investigations" of Propaganda Mechanics, the British Brainwashing Corporation and the Nanothermite Institute of Scumbags and Traitors, who have been exposed as frauds several times before, i'd say Bentham is pretty reliable. And, according to Stephen Jones, the peer review process on this paper was the most grueling peer review he's ever had. In articles on fringe topics, we are not supposed represent the fringe theory as if it is a legitimate viewpoint or on some kind of equal footing. Instead, we're supposed to fairly represent all sides of an issue per reliable sources. If reliable sources reflect a particular viewpoint, then we're supposed to represent that viewpoint as well. In a case such as this article, I doubt if there are many (if any) reliable sources that claim the WTC was destroyed via controlled demolition. Even if there are any, weight should be roughly proportional to the preponderance of reliable sources backing that perspective. As a result, there might be a WP:NPOV issue with this article. This article should treat this topic in the same manner as reliable sources do. Thus, if NIST, Popular Mechanics, the BBC, ABC News, Time Magazine, etc. regard the controlled demolition conspiracy theory as outlandish bunk unsupported by factual evidence, that that's how this article should be written. To do otherwise, is against WP:NPOV. In other words, the viewpoints of reliable sources are the standard by which we write our articles and judge its neutrality. So it seems Wikipedia's definition of neutral is NIST, Popular Mechanics and the BBC's definition of neutral - AKA selective and biased. It is clear that there is no possible explanation for the super-thermite in the World Trade Center dust that doesn't point towards inside involvement. Therefore instead of even attempting to explain or refute this evidence, Wikipedia has evidently gone for the ad-hominen attack, a technique used time and time again by 9/11 "Debunkers". OK so first of all, Fox host Glenn Beck claimed there was no evidence for FEMA camps, and an 'expert' from Popular Mechanics (the same people behind a certain other memorable hit job) was going to show that there were no detainment centres being constructed and that FEMA camps were a 'classic Internet conspiracy theory'. So Alex Jones decided to 'pre-debunk' Glenn Beck before his show aired on Fox News yesterday evening. The following is from The Alex Jones Show, shown live on Monday afternoon US time, hours before Beck's broadcast. Here's a link to part 1; there are 7 parts. I didn't want to show them all here, as it would probably make the page load annoyingly slow. And yes I know, it's really long (! ), so if you don't have an hour to spare I will try to lay out where the key points are. 0:00 - 1:20 Introduction: "There's so much evidence"
5:25 - 6:25 "You want proof of martial law?" 6:00 - 7:00, 8:30 - 9:50 News report: "The government's biggest problem: us"
0:00 - 1:15, 8:45-10:57 Net Censorship, FEMA control of media, Should Obama control the Net? 0:00 - 2:00 'Civilian expeditionary workforce', evidence for Pentagon announcement of what basically amounts to a draft. 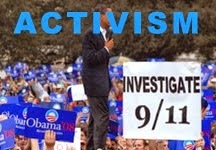 911blacklist.org: Why did we Blacklist Glenn Beck? Editor's Note: "Put up or Shut up" is my title. Not an open journal publication: Steven E. Jones, “What accounts for the molten metal observed on 9/11/2001?”, Journal of the Utah Academy of Sciences, Arts and Letters, 83:252, 2006. The Work of the National Institute for Standards and Technology Has Not Been Peer-Reviewed! 9-11 Truth has largest presence at LA Anti-War March! WeAreChangeLA brought our banners to the Anti-War March in full force. 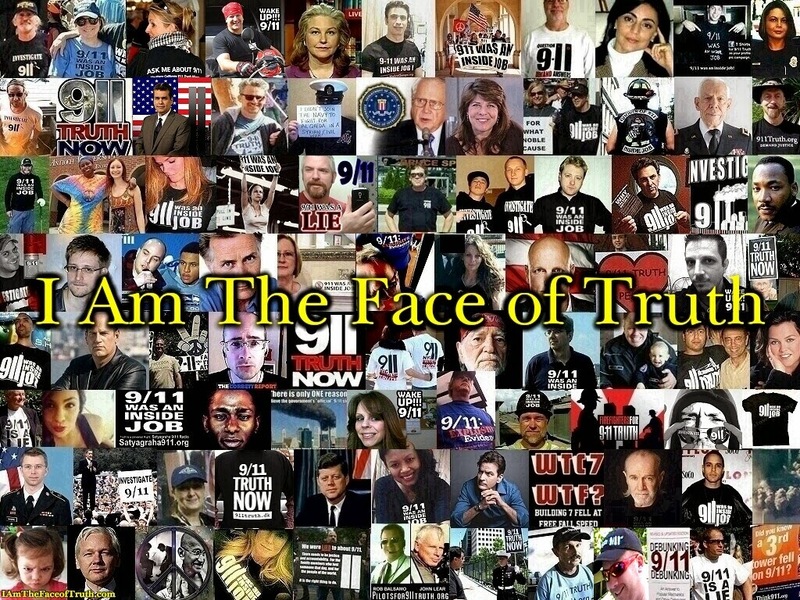 We had almost 50 members show up to help the 9-11 Truth stand out in a very big way. Others who attended the march exclaimed that "the 9-11 people are taking all the attention". We all had such a great time. If you have yet to partake in an outreach, visibility action with our beautiful banners, then you gotta come out and join us! A half hour compilation video I made tearing apart the BBC "Third Tower" hitpiece. So the red-chip paper is out, that proves that not only was there enough high-tech superthermite in the WTC towers to demolish them but there was some left over! No wonder some leaked out! So either Osama Bin Laden had a high-tech weapons lab in his cave in Afghanistan and his Al-Qaeda elites happened to be controlled demolition experts with unrestricted access to three of the most secure buildings in America or the official story is a complete fraud. I've uploaded a copy to rapidshare. Spread it around! Big News! Mark Roberts was debunked by a paper published today in a peer-reviewed chemical physics journal. Submitted by Reprehensor on Sat, 04/04/2009 - 6:25am. In short, the paper explodes the official story that “no evidence” exists for explosive/pyrotechnic materials in the WTC buildings. What is high-tech explosive/pyrotechnic material in large quantities doing in the WTC dust? Who made tons of this stuff and why? Why have government investigators refused to look for explosive residues in the WTC aftermath? These are central questions raised by this scientific study. The peer-review on this paper was grueling, with pages of comments by referees. The tough questions the reviewers raised led to months of further experiments. These studies added much to the paper, including observation and photographs of iron-aluminum rich spheres produced as the material is ignited in a Differential Scanning Calorimeter (see Figures 20, 25 and 26). The nine authors undertook an in-depth study of unusual red-gray chips found in the dust generated during the destruction of the World Trade Center on 9/11/2001. The article states: “The iron oxide and aluminum are intimately mixed in the red material. When ignited in a DSC device the chips exhibit large but narrow exotherms occurring at approximately 430 ˚C, far below the normal ignition temperature for conventional thermite. Numerous iron-rich spheres are clearly observed in the residue following the ignition of these peculiar red/gray chips. The red portion of these chips is found to be an unreacted thermitic material and highly energetic.” The images and data plots deserve careful attention. The Centre for Molecular Movies was inaugurated 29th November 2005, at the Niels Bohr Institute, University of Copenhagen. The Centre is made possible through a five year grant from the Danish National Research Foundation (see e.g. http://www.dg.dk/). We aim to obtain real time “pictures” of how atoms are moving while processes are taking place in molecules and solid materials, using ultrashort pulses of laser light and X-rays. The goal is to understand and in turn influence, at the atomic level, the structural transformations associated with such processes. We understand that the Dean of Prof. Harrit’s college, Niels O Andersen, appears as the first name on the Editorial Advisory Board of the Bentham Science journal where the paper was published. 3. Dr. Farrer is featured in an article on page 11 of the BYU Frontiers magazine, Spring 2005: “Dr. Jeffrey Farrer, lab director for TEM” (TEM stands for Transmission Electron Microscopy). The article notes: “The electron microscopes in the TEM lab combine to give BYU capabilities that are virtually unique… rivaling anything built worldwide.” The article is entitled: “Rare and Powerful Microscopes Unlock Nano Secrets,” which is certainly true as regards the discoveries of the present paper. 4. Kudos to BYU for permitting Drs. Farrer and Jones and physics student Daniel Farnsworth to do the research described in the paper and for conducting internal reviews of the paper. Dr. Farrer was formerly first author on this paper. But after internal review of the paper, BYU administrators evidently disallowed him from being first author on ANY paper related to 9/11 research (this appears to be their perogative, but perhaps they will explain). Nevertheless, the paper was approved for publication with Dr. Farrer’s name and affiliation listed and we congratulate BYU for this. We stand by Dr. Farrer and congratulate his careful scientific research represented in this paper. 7. Important features of the research have been independently corroborated by Mark Basile in New Hampshire and by physicist Frédéric Henry-Couannier in France., proceeding from earlier scientific reports on these discoveries (e.g., by Prof. Jones speaking at a Physics Dept. Colloquium at Utah Valley University last year.) We understand that details will soon be forthcoming from these independent researchers. Now read the paper for yourself, and let your voice regarding these discoveries be heard! 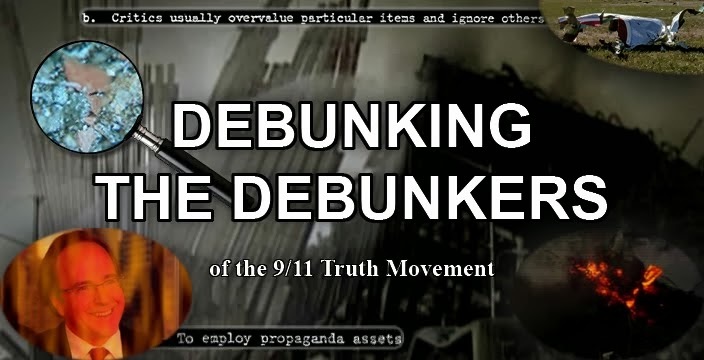 Steven Jones Tells "9/11 Debunkers" to Put up or Shut up!